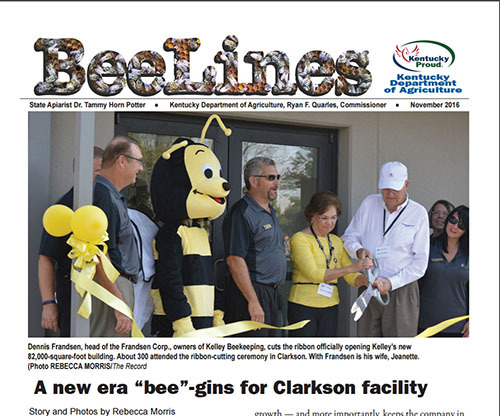 The November edition of the BeeLines newsletter is available online. It includes a report about the expansion of the Kelley Beekeeping Co., the State Apiarist’s Report, an analysis of pollen contained in the winning “black jar” entry in this year’s State Fair honey competition, and much more. Past BeeLine newsletters can be downloaded from the Kentucky Department of Agriculture’s website or from the KSBA Educational Resources for Beekeepers webpage.